We must immediately concede that there are two things wrong with that statement. There are many generations before us that would consider any claim that Ibiza was ‘born’ in the 1980’s quite ludicrous, and of course they would be right. From the 7th century Phoenicians to the 20th century Hippies, many may lay claim to having given the Island a new identity. Their contributions to the evolution of Ibiza are acknowledged and accepted. What we are referring to is Ibiza’s latest incarnation, that of a global mecca in Electronic Dance Music, the industry that in tourism terms at least, is the differential between our Island and every other tourist destination. Though Alfredo’s Balearic sound may not belong in our Acid Special musically, his after hours parties at Amnesia certainly did have an effect on the evolution of the Acid scene in the U.K. in another way, a more chemical way. 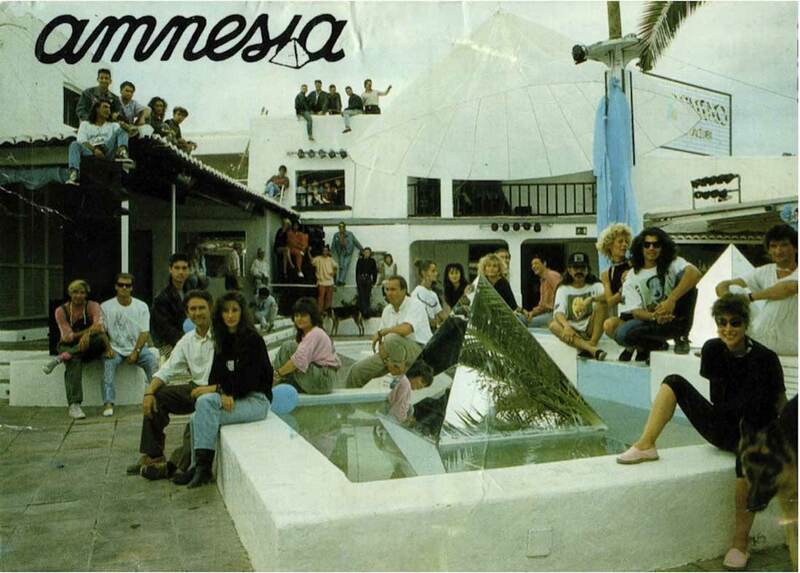 The Ibiza chimps party of ’87, when Rampling, Holloway, Walker and Oakenfold came to Ibiza to visit Fung and St Paul, and during that trip went to the Amnesia that Alfredo had been working since ‘84, has gone down in dance music lore. 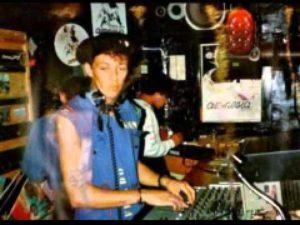 Anyway, regardless of the ‘Acid House’, Alfredo’s account will be an interesting tale to anyone connected with the world of Ibiza’s clubs. “I can pinpoint the exact night everything changed. We were all waiting around to get paid as usual. The club would close at 6a.m. but we would all have to wait around until the owner turned up at 7a.m. to pay us. I was only getting 5,000 pesetas a night, which is about 30 euros or £25. My girlfriend suggested I play some records for everyone while we waited. So I said OK and re-opened the DJ cabin. There was only a handful of people there; almost all of them were people who worked at the club or their girlfriends and boyfriends. But then a few people walking home from Ku club heard the music and came over to investigate. They loved what I was doing because back then what I was playing was so different from the music in the other clubs. There were no more than 100 people that night, but they went home and told all their friends and brought them down the next night. So the next night we had 300 people, who in turn all went home and told their friends, and after a week the club was full. For the first time ever. So we then decided to open the club later; we had been open from 12 midnight to 9a.m. but after those initial few weeks when the club was full, we decided we wouldn’t open until 3a.m. 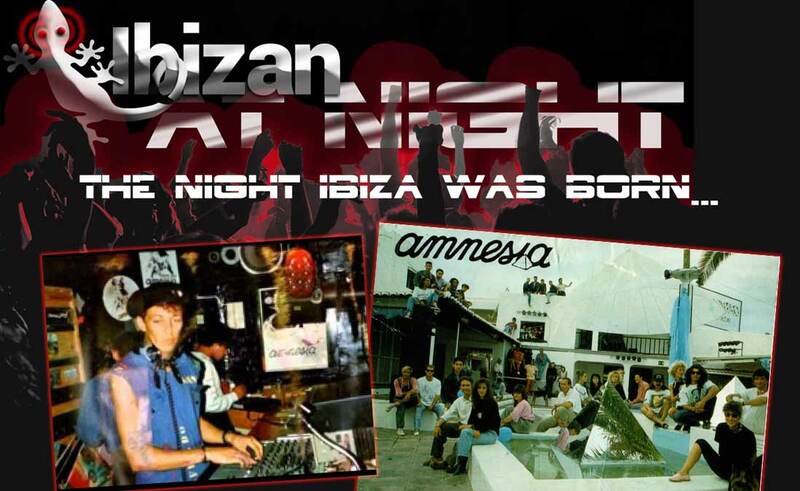 but stayed open until midday, which was the first time a club had done that in Ibiza. Amnesia was the first after-hours club on the island – no one even used the phrase ‘after-hours club’ until quite a few years later, when it became more of a trend. We weren’t really aware of what was happening off the island at that point, but I later found out it was probably the first after-hours club anywhere in the world. They felt the music had taken them somewhere else, into a trance almost, and its only when their feet had come down to earth again they realised they’d been dancing all night. These people were coming back because the club was different, the atmosphere was different, and the music was different to what was played in all other clubs. I very quickly realised that in this unique open-air space, with a pretty diverse and an open-minded crowd, I could play music which wasn’t necessarily written for the dance floor. One of the first records I used to play regularly was [Art of Noise’s] ‘Moments In Love’, which is certainly not a song written with the dancefloor in mind, but when I incorporated it into my set and people danced I began to realise it was possible for me to pick out records that weren’t made for the dancefloor and I could actually make them work on the dancefloor. Some famous people came but they were cool famous people who wanted to be anonymous, not famous people who just wanted to be seen; they were the sort of famous people that heard about it by word of mouth and were just happy to be part of this wonderful organic atmosphere. There were no private areas or reserved seats. People came and they danced wherever they wanted and they stayed as long as they wanted. Grace Jones would dance next to some anonymous guy or girl from the street, a barman, whatever. If someone like Grace Jones or The Clash came down hardly anyone would realise anyway; no one made a fuss because it wouldn’t even register with the sort of crowd we had in that club. We had so many famous people – musicians and artists, painters and actors, from Spain, England, Europe and all over the world – and I wouldn’t even know they had been there until later. Sometimes I will read about someone famous saying, “Oh, I remember Alfredo at Amnesia,” and think I don’t ever remember seeing you. But many of the people who came down I didn’t even see myself because I was playing records. I never saw Freddie Mercury when he came down because people weren’t making a fuss. Acid House, The True Story, will appeal both to those too young to have been involved but interested to know the origins of the music we hear today, and also an excellent reminder to those who were around – let’s face it, sketchy memories are a pretty well inevitable result of that late 80’s era. 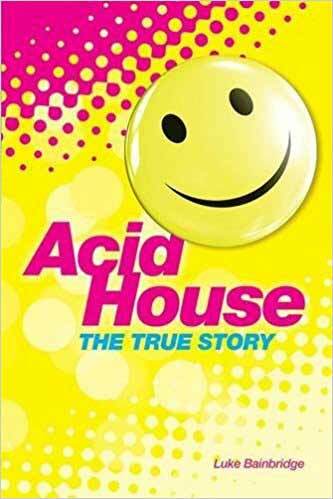 Acid House, The True Story is available on Amazon price £13.45, or £8.96 on kindle/ebook. Previous articleSix Dead in London Terror Attack. 3 Men Shot Dead By Police.